- High air throw upto 25 ft.
: rating 230 v / 440 v 12"/16"/18"/24"
exchut fan wall / pedasttal / 18" /24 "
long with regular Industrial Fans, ACTIONAIRE has recently introduced a new type of fan which has become very popluar in international as well as domestic market- WeatherProof Fans! 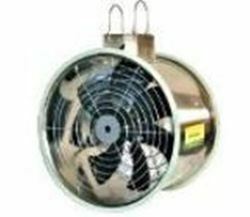 AIR CIRCULATION FANS IN VARIOUS RANGES & SPECIFICATIONS. With hard-earned experience of our adept professionals, we offer precisely manufactured Farata Fan.Uses:• Used in homes, offices, shops, etc. Our circulators can be characterised by ease of use and low energy consumption. Whether they are used for water circulation in a central heating system for an individual home, or in an air-conditioning system for a complete apartment building, you can be assured that sustainability and continuity is always the priority.